Red Bull have confirmed Pierre Gasly will replace Daniel Ricciardo as Max Verstappen's team-mate from next season. Ricciardo made the shock announcement of his decision to depart for Renault when his contract ends at the end of 2018 earlier this month. 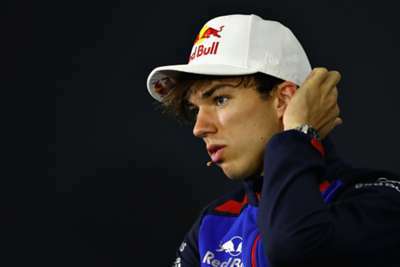 But Red Bull have announced their new man ahead of the resumption of the Formula One campaign in Belgium this weekend, bringing in Gasly from sister team Toro Rosso. "Since Pierre first stepped into a Formula One seat with Toro Rosso less than a year ago, he has proved the undoubted talent that Red Bull has nurtured since his early career," said team principal Christian Horner. "His stellar performances this year at the Honda-powered team, in only his first full season in Formula One, have only enhanced his reputation as one of the most exciting young drivers in motorsport and we look forward to Pierre bringing his speed, skill and attitude to the team in 2019." Gasly added: "To be awarded a drive at Red Bull Racing from 2019 is a dream come true for me. I'm so excited to be joining this top team. "It has been my goal to race for this team since I joined the Red Bull Junior Driver Programme in 2013, and this incredible opportunity is another step forward in my ambition to win grands prix and compete for world championships. Red Bull has always looked to fight for championships or victories and that's what I want. I'm a really competitive guy and, when I do something, it's always to fight for the best and top positions. "As hugely exciting a moment as this is, I am fully aware of the challenge this special opportunity offers me and the expectations that faces any driver at Red Bull Racing." The Frenchman has raced 17 times for Toro Rosso across the past two seasons, enjoying his best finish, fourth, at the Bahrain Grand Prix early this year. Gasly is 13th in the 2018 drivers' championship standings.